Hero Powers are unique to Hearthstone (as far as I'm aware). Some card games are perfectly symmetrical (Yugi-oh!). Some card games differentiate decks by attributing them to a specific attribute (Magic: The Gathering with their colour system, for example). 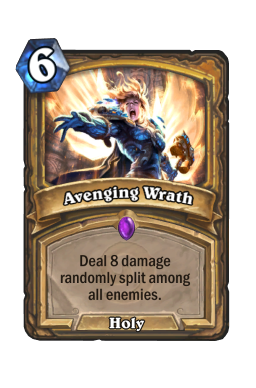 Hearthstone, in turn, divides the game into 9 classes. Each class has its own set of class cards, as well as a pool of neutrals to choose from. Each class also has its own active 'innate' ability called Hero Power. This article aims to explain, clarify, and do a critical analysis regarding how hero powers are designed and used, their interactions, and on how the game is balanced around this dynamic. Do note that I do not play WoW, so all flavour value regarding these things are lost to me. I doubt I missed much though. Every class has access to (at least) one Hero Power. Hero Power can be used at most once every turn, and they all cost 2 mana. 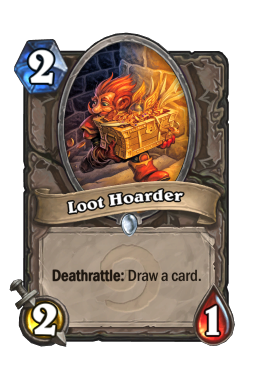 They are typically worse value-to-mana compared to actual collectible cards. They have the advantage of not actually using up an actual card. Essentially, they are resource trading (mana + (life) + (card) to effect) just the same as any other card. Why is this good? Hearthstone's mana system works on the principal of constant increase. You can influence your available mana, or accelerate the rate which you acquire it. It is not uncommon in card games for players to have terrible draws at the start of the game. Hearthstone's mana system elevate this problem of early play snowball (refer to my article on Tempo if you're unfamiliar with this concept) by limiting the intensity of early plays, since card effects are balanced off mana cost. The addition of Hero Power means that most classes has the ability to actually do something - anything - should their draws turn horrid. It also creates less mana floating in the late game. Overall there's just more to DO in a game, a good thing to have for a game such as this. Of course, as hero power isn't something shared, they are all not created equal. Some are stronger than others for specific purposes, and for specific stages of the game. Some hero powers shape the norms of the class itself. Some match ups could be determined by hero power alone. Evaluating a 2 mana-investment every turn (from turn 2 of course) is a tough job. Hopefully after reading this article, you'll get a better idea of how hero powers stack up, interact, and even define the flow of the game itself. Fireblast is, in my opinion, is the most straight forward hero power. Mage is the tutorial class for a reason. Even in this context, however, it's still a fairly versatile ability and has many, many uses due to the fact that it can target literally anything. Let's go over some interactions and explanation. Deal 1 damage to enemy minion: The most widely used interaction. fireblast allows you to "ping" - dealing a (few) points of damage through ability or spells - an enemy minion. There are plenty of popular 1-health minion in the game, both Constructed (things like webspinner and leper gnome ) and Arena (such as loot hoarder and [card]scarlet-crusader). The ability to remove them from play without having to expend a card means that you've just gained card advantage. Card advantage is one of the fundamentals of the game (take a look at my article on it if you're interested), and it's a path to victory. 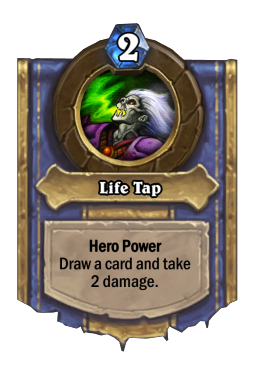 Another sensible play would be to "pad" the 1 extra damage for your minion to trade up with another minion (something that would have gotten a favourable - or even fair - trade off of you otherwise). 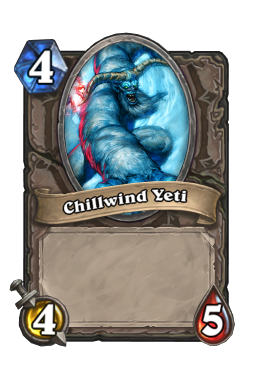 For example, pinging an opponent's chillwind yeti so that yours kills his, but survives. It's a great value play, and also add up to card advantage (you lost none to your opponent's 1). In some cases, it's fine even to ping your opponent's minion, yet attack the opponent hero instead of his damaged minion. This has the advantage of not 'wasting' damage, since the trade will still go favourably. The disadvantage is that should the opponent be able to heal or buff their creature in some way, you could be in big trouble. It is almost strictly a tempo decision whether or not you're doing the trade yourself (unless your opponent's a Priest, whose hero power naturally cancel out yours in this case). You trade off the initiative with some extra damage on the opponent's face. It's also a way to coerce your opponent into trading, should their life points drop low enough and they feel like you're the aggressor and they have to stop you. A different way to look at this example would be if you have to ping an enemy minion over two turns to gain card advantage (it's almost never correct to have to ping an opposing creature more than twice). Your opponent plays a turn 1 Flame Imp . You have the coin, and no 2 drop. You can actually expend the coin immediately to ping the opponent for 1, take 3 damage, and ping the Imp again the next turn, killing it. During this very passive play, the outcome is: you've taken 3 damage, and so has the opponent. You effectively trade your coin and 2 turns to kill his turn 1 play, and be behind in tempo. The inherent problem with making a decision that pans out over multiple turns is that you simply do not know of all the relevant information. What if you draw a 3 drop that trades favourable with Flame Imp next turn? You could've coined it out turn 2 and work from there, but now you've just thrown your coin away for nothing. However, what if you don't? 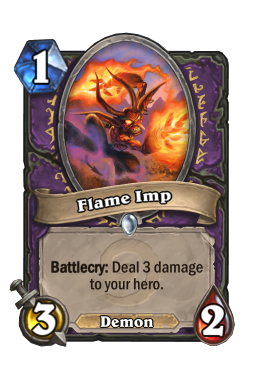 Then the Flame Imp would have gotten in two attacks, and the opponent is significantly ahead in tempo, since you're still spending your turn either pinging for one to guarantee the Imp dying next turn, or doing nothing. This game is much a game of information, and depending on how your deck is built, how the opponent's deck may seemingly be built and your own intuition will you be able to decide whether or not to make such a play. Deal 1 damage to the opponent: Pinging the face is an acceptable play in certain situations. When you just happen to have 2 mana lying around and no good target on board to use your Hero Power on, you can opt to ping the enemy face. It certainly gets you closer to winning. It's also sometimes the only way of dealing damage through Taunt, and could be just that extra 1 damage needed for lethal. 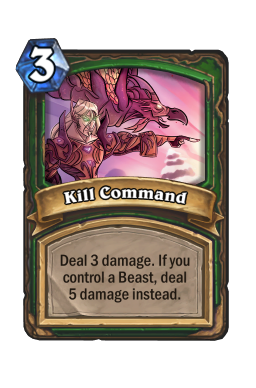 A good way to think of this is 'overkill a minion isn't as good as killing it cleanly, but there's never anything wrong with overkilling your opponent'. 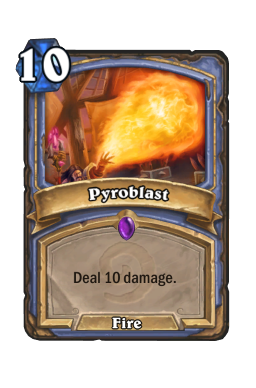 If you 'waste' one damage on your opponent and next turn pyroblast his face for 9 instead of 10, it doesn't matter. You won the game. 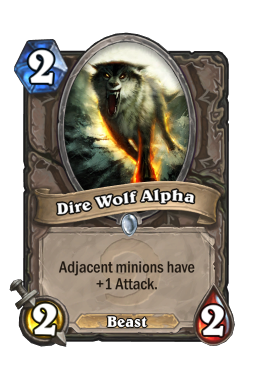 However, if you pinged an enemy's dire wolf alpha only to let it trade into your bloodfen raptor , you've effectively wasted 1 damage that could have determined whether you win or lose the game. Sometimes, holding 2 Fireball in hand with 7 mana, it's better to ping the opponent's face so that their health drops to 12 instead of playing your 2 drop. It almost guarantees a kill next turn, and perhaps that 2 drop isn't going to deal the 1 damage needed for lethal. Your two drop can be responded to or Taunted, but not your direct damage hero power. This kind of decision making process is really complicated. You have to know when how much damage matter at that instance vs. in the long run to appropriately decide on the correct ping target. 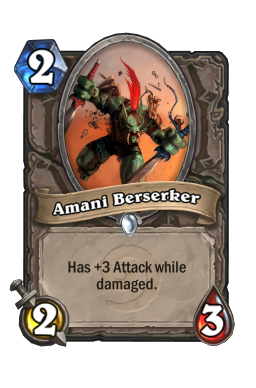 Deal 1 damage to your own minion: This is relevant when dealing cards with Enrage effects (raging worgen or amani berserker ) or pseudo-Enrage effects (like acolyte of pain or gurubashi berserker ). These minions trade health for positive effects (most of the time) and proactively triggering these effects can be worth the hero power investment. In fact, some of these cards see play in a Mage deck specifically because of these interactions. 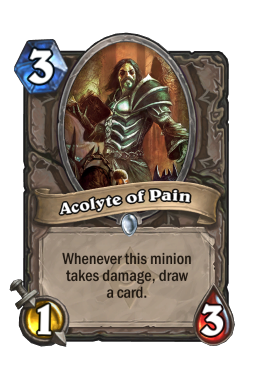 For the longest time, Acolyte of Pain and Amani Berserker are included in Mage decks (usually mid-range) because of this. Deal 1 damage to yourself: An extremely niche case. This move is almost never correct, and you could play thousands of games with it never being so. Currently, it's only relevant in activating molten giant and some weird ice block interactions. In the case of Molten Giants, even though it doesn't make your Molten Giants come out this turn (unless you could've played it already), it could potentially make it playable. 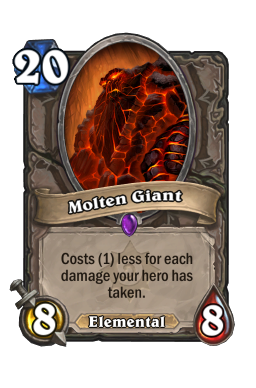 Making your Molten Giant cost 9 instead of 10 doesn't make sense Fireblasting yourself for, but making it cost 10 instead of 11 may. I've to stress again, this is almost never correct, but if there's a situation when playing Molten Giant for 10 mana next turn is worth losing two mana now, one damage less on an enemy character and taking an additional 1 damage, go for it. 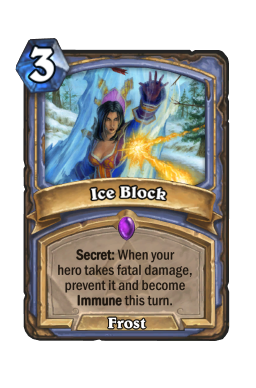 As for the Ice Block interaction, it's only relevant to control (or at least try to) the amount of health you have after Ice Block procs. For example, you're staring down a core hound and you're at 10 health, with Ice Block set of course. 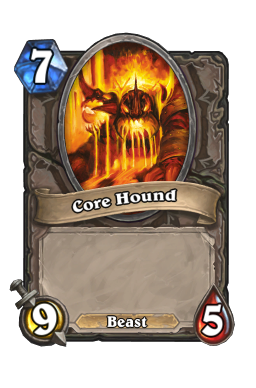 You can ping yourself for 1 so that next turn, Core Hounds procs your Ice Block, but you're still left with 9 health instead of 1. It's a very obscure situation, but one that exists nonetheless. steady shot is an extremely linear hero power. Honestly speaking, there aren't a lot of interactions to be had with this one. The hero power doesn't have a target nor does it affect the board. The reason why I picked Fireblast instead of Steady Shot for most straight-forward is that Steady Shot is actually sometimes worth more than a two mana play. It's a hero power that is potentially better than actually playing a card. There's still a bit of a stigma (best term I could come up with) about life control. 'Life doesn't matter', you hear, 'the only difference is between 0 and 1'. It's not necessarily incorrect. Sometimes it doesn't matter. Sometimes it matters a lot. I would have an entire few thousand word article about this matter to round out my Hearthstone fundamentals series, but know that life total very much matters. 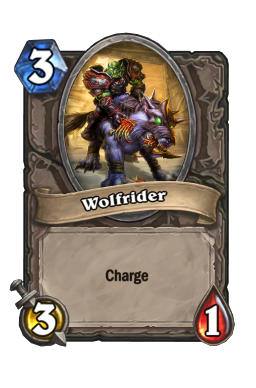 Why is it ok to, in a rush deck, to play wolfrider , charge into the face, and getting 0-for-1 by Druid's hero power. It's because it's dealt 6 damage. So you hit the face for 2 That's the only thing Steady Shot does. It gets you ahead in the life race. It does so for 2 mana, every turn since turn 2. Your opponent has 30 mana at the start. They drop to 0, you win. Steady Shot is what you could say is an objective-based ability. It deals 100% more damage to the face than Fireblast, but also not as flexible (and for good reasons). 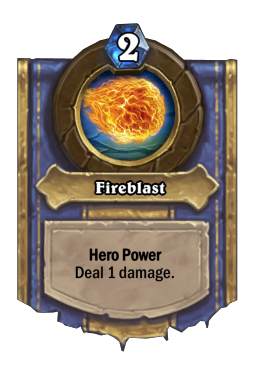 That's why at the earlier stages of the game's meta, we usually see rush hunter, abusing mana efficient burn spells and charge creatures, along with their hero ability, to end the game quickly. Let's go on a little trip down memory lane. The reason the games needed to be ended quickly was that: should later stages be reached, access to powerful healing, taunts, and burst combos make the Hunter ability - which does not interact with the board in any way (the only one in the game) - very inferior to other classes. Control decks would simply overwhelm the board and end the game with a finisher. 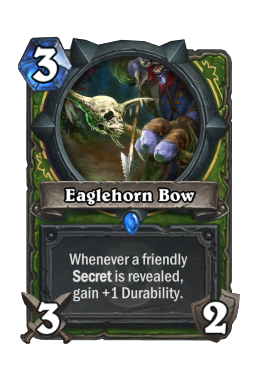 This has changed massively with the introduction of combo hunter (decks with massive amounts of traps, abusing eaglehorn bow and the 2-mana unleash the hounds and Leeroy Jenkins), promoting stable lines of play for an otherwise aggressive class with limited options. 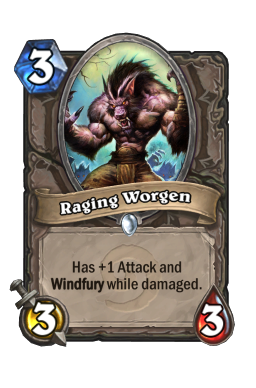 Sustained damage is introduced to the class, but the decks were still very light in terms of minions power and instead very focused on direct damage and burn combos. Then Lifecoach came along with his infamous Sunshine Hunter, incorporating more minions into the deck, taking advantage of the beast synergy that has proven to be somewhat aloof to its unique class up until then. Gaara and Kolento then pushed out a more updated version of the Mid-range Hunter deck, playing more and more minions. This version did or did not feature the Eaglehorn Bow package in it. It was extremely popular, regardless reluctantly remained missing from tournaments except for the odd appearance in Reynad's roster playing in Dreamhack Summer. 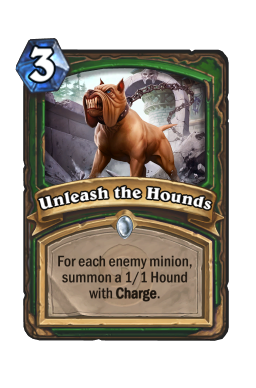 Then came the nerf to Unleash the Hounds. 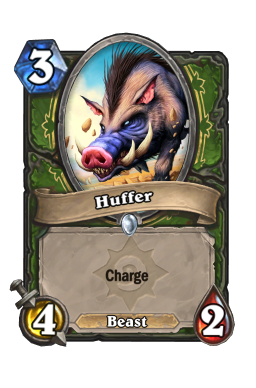 Hunter, while not necessarily falling back into obscurity nor its previous status of 'noob trap rush deck', made it a whole less popular. The deck was still played, and still exceptionally strong, but remained off the radar for a good part of the time due to how polarising Zoo and Zoo-complainers were. Then Naxxramas happened. 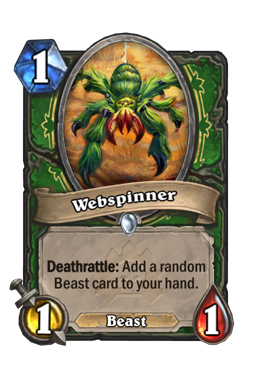 Webspinner and Haunted Creeper were introduced as actual early beasts that were good targets for Houndmaster to get early value. Then came the Undertaker + Mad Scientist package, which took the metagame by storm. Hunter became almost ubiquitous, making up a solid ~40% of match-ups during my climb to top 100. 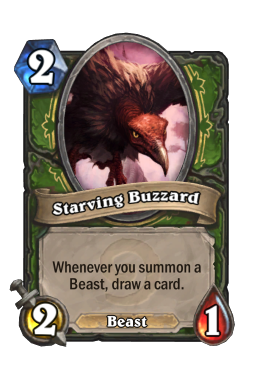 It was so bad that Blizzard decided to nerf it, this coming September 22nd, by raising the mana cost of starving buzzard to 5. This change threatens to destroy the class' draw engine, forcing the current lists to alter their playstyle completely, if even possible. This whole process of change was introduced when the hero power remained extremely linear and, some may say, boring. How so? Spamming Steady Shot wins games. It's important that you do so as well. It's such an integral yet seemingly separated aspect of the Hunter gameplay that the deck wouldn't be able to hold without it. While Beast synergy is strong, the deck simply isn't efficient enough to beat heavy control deck by itself without posing a constant threat to their life total. The ability gives you a 2-point life advantage. 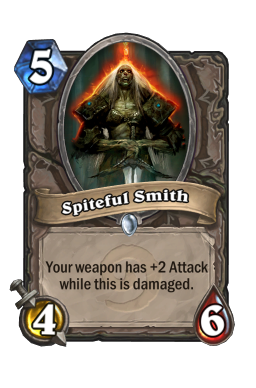 This is the same as the Warrior, or Priest (in some situations), and Druid (in other situations). Warrior's armour can be abused, and Priest and Druid hero powers can be used on minions. What's the advantage of Steady Shot then? It does damage, instead of giving you seemingly an arbitrary advantage. It kills people the fastest. It puts opponents on what's called a 'clock'. 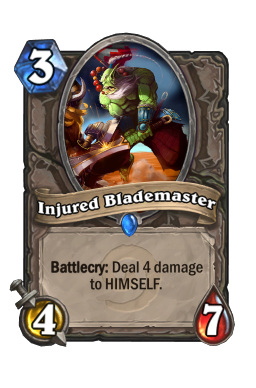 Healing is a luxury in a lot of cases (it's common to think that Shamans don't run healing cards for example), and that means damage sticks. 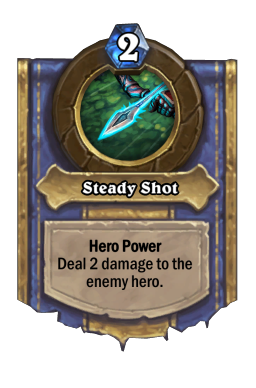 Your first Steady shot deals 6.6% of your opponent's remaining health as damage. Your second one does 7.1%. The more Steady Shot you fire, the more effective it is. It's important not to think of 2 damage as a flat line. 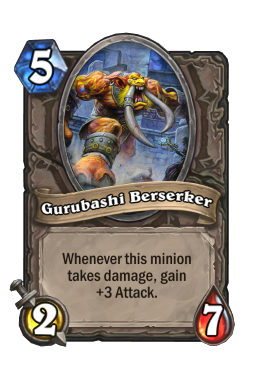 This is because as the game goes on, more expensive but more powerful damage options become available (whether direct burn, like kill command , or just that huffer you happened to roll). This in turn means that Steady Shot just... does more damage. It sounds ridiculous, but that's just how it is. Constant damage puts people into damage range, and with the amount of options available for the Hunter class, it's almost impossible to account for every single one of them. People under damage ranges just die, and you win. That's the whole goal of Hearthstone, and all it ever comes down to. Steady Shot promotes a different line of thinking. It's almost similar to Red decks in Magic: the Gathering. While some hero power generates tempo, and some generates card advantage, the Hunter's just kills. Their gameplay instead revolves around the damage race. Board control & tempo is nevertheless important, but as a supplementary tool for reducing the opponent's life to 0, instead of being the winning factor. It's also the reason that the decks win even without any dedicated finishers (Leeroy is far from being mandatory), which is something that other end-game decks struggle with. Special class interactions Warlock is usually seen as a very good matchup for Hunter. While the Warlock hero power is certainly useful in creating card-advantage by itself, it also sacrifices tempo and life total for it. For a lot of cases: either Handlock vs. slow deck or Zoo, this doesn't matter. Either the Warlock players have initiative and is dictating tempo at every turn, or they wall themselves behind giant creatures that threaten to end the game if not accounted for. 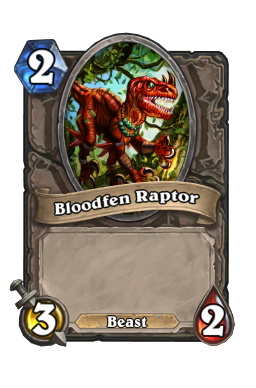 This is different against Hunter. Steady Shot naturally takes advantage of life tap 's drawback, and put the Warlock player in an even faster clock compared to other classes. Threats don't matter if you're dead, some say. They're right. Classes that utilise weapons are taken from a different perspective. How they use their weapons and how much face-tank they want to do against a Hunter is something you cannot control. However, all of them are putting their life total at risk. These classes fight for board control using efficient and usually over-budgeted weapons, and the life-focused gameplay of the Hunter class can take advantage of that very easily. It's simply a matter of balancing damage race threats and using your hero power. Since the more of it you does, the more effective it is generally, you want to use it often. However, abusing it too much means you're losing tempo and card advantage. It's good to have a gameplan, but bad to be tunnel-visioning too hard. 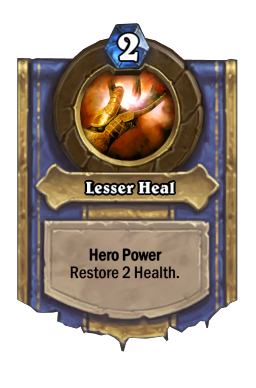 Lesser Heal is the only hero power in the game that when played on turn 2, could do absolutely nothing. It affects neither the board nor players' life totals. That doesn't make it weak of course, but it also means that in order to not fall behind in tempo, Priest are usually geared to having more consistent early plays since they cannot afford to spam hero power the way a Paladin could for example. Priest hero power is extremely dynamic, however, and warrants a lot of talk just the same. Heals your minion for 2: This could almost be thought of as the reverse of the Mage situation listed above. The difference, of course, is that this hero power needs a minion on board - a damaged one at that - to be able to work at all. That's a whole lot of ifs, but its value is worth more (2 health units instead of 1). Heals in the game are generally more efficient than damage, because it has a stricter condition to be effective. Using your dark cultist to attack an enemy's deathlord , then healing it for 2, suddenly turns a disadvantageous situation into a favourable one. This is the simplest and most common use of the Priest's hero power. It grants trades (provided that your creature doesn't just die) and 'refreshes' your damaged minion, putting them out of certain damage range (this would have to be elaborated at a later date). This ultimate amounts to card advantage, as something that comes naturally to hero powers in general. This, as always, have to take into account that your minion has to actually survive the attack. 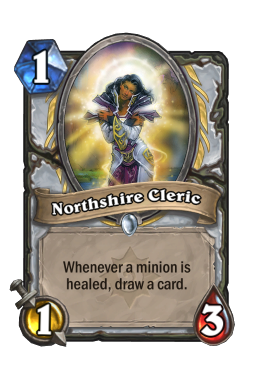 Thus, Priest decks may tend to incorporate minions that has a higher health stat, even if it means trading off some attack (northshire cleric or injured blademaster ). 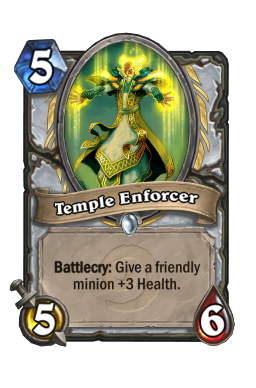 With cards such as power word shield, temple enforcer and dark cultist , minions can be buffed with higher health in order for the Priest to take the most advantage out of their hero power. The class' line of play and unique collection compliments it very well in this case. Naturally, this means that Priest's hero power scales better into the late game. While minion trading may match up, removals tend to fall off in effectiveness (especially AoE ones) later. Lesser Heal would allow the Priest player to quickly repair their damage minions, much faster than a Fireblast ping can remove health for example. Heals yourself for 2: If you've nothing else to do, heal yourself. You're most likely damaged (below max health). If you're in a damage range (14 if playing against Druid, 16 if against an equipped Death's Bite, or 26 (!) against Miracle Rogue with pre-nerf Leeroy), heal yourself out of it. It's extremely important to not die. You cannot win if you've already lost, one may say. It really does sound silly, but it's always something to think about. The real decision making comes in, however, when you're to consider the opportunity cost. 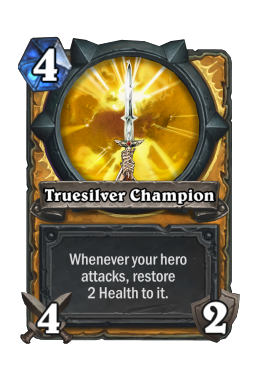 Would you rather heal yourself out of avenging wrath + truesilver champion range, or heal your last minion out of consecration range? Sure, it may seem simple at first. Even if your minions are killed, you wouldn't lose right? So just heal yourself! However, this could be interpreted simply as a not-losing move, instead of a winning move. If that minion was your last threat that you're banking on to win this game, maybe it's better to take the risk of dying to actually have a chance of winning this game. After all, you may lose anyways without a board! The decision is entirely dependent on you and how you view your chances, as well as how much you've been playing attention. How many Truesilvers have your opponent play? 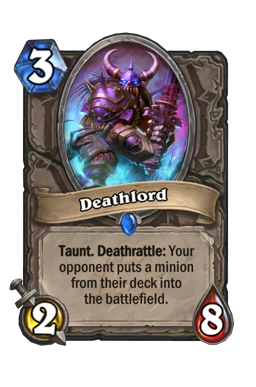 Does his deck look like one that would run Avenging Wrath. 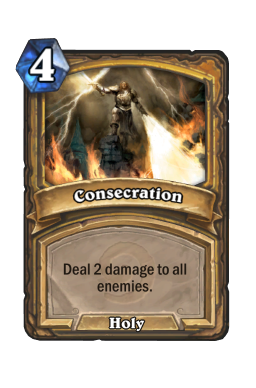 When was the last Consecration? How many cards are left in his deck? How many threats do you have left in the deck to replace the one you may lose? How likely are you to draw them before you lose? These are all context-dependent questions, and only you can tell what's the right choice. 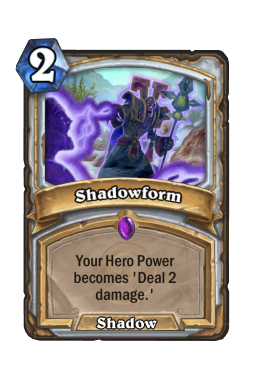 Damages an enemy for 2 (3): The Priest hero power "transforms" into a damage ability with the help of auchenai soulpriest and/or shadowform . I won't comment on how viable any of these options are, due to the fact that the metagame may very well change and viability fluctuates. However, they make the Priest hero power become a better version of both the Mage's and Hunter's hero power, because they actually costs cards to activate. Interactions regarding these cases should be referred to Hunter's and Mage's above, as it pretty much covers everything. What I can talk about here would be the opportunity cost of this interaction. 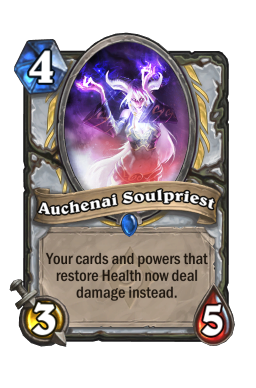 Auchenai Soulpriest is the more popular choice, due to the fact that she's an actual minion with decent stats, that in turn makes the transformation 'free'. In contrast, Shadowform costs a card (even 2) in order to garner the same effect. The difference is that the change is permanent, but that's not necessarily a good thing. Later on in the game, as board control and damage range becomes more and more relevant, the ability to have a heal on-demand becomes substantially more important. Damage is a lot more crucial early on, as the advantage gained is amazing. However, the transformation take place too late in the game, and would usually not be relevant enough on the big creatures that are pushed out. This isn't to say that a double-mage hero power isn't strong. 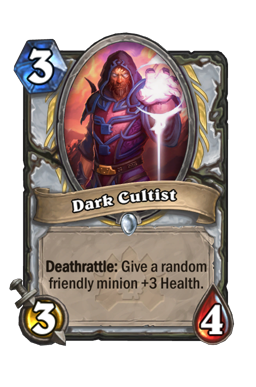 It's actually extremely strong, but may just not be as strong as the Priest's original hero-power when the damaging effects come online Heals an enemy for 2: In very specific circumstances, you would want to heal an enemy, and not the kind of healing that a Soulpriest provide. I'm talking about legitimate +health healing. Normally, it's perfectly fine to heal an opponent's minion out of its Enrage effects (NOT pseudo-enrage though). As said in the Mage example, these minions' effects are worth the reduced health, so they're usually worth healing back to get rid of as well. Most of them don't have a lot of health (except spiteful smith ), so they shouldn't be too difficult to deal with later (since you obviously can't deal with it right now). It's sometimes even ok to heal your opponent directly, aside from turn 2 no 2 drop "The Light Shall Burn You". This goes back to the "ping your own face" section of the Mage hero power. For all the reasons that you'd want to ping your own face, the same reason, on the other side, could be done in reverse. They are, of course, not very common situations. Someone facing massive identity crisis. I can be found trying to appropriate culture, or finding turtles on my blog. I also have a Twitter account, or a Twitch channel where I stream barely anything.